Mangoes are one of my most favourite fruits. Summer and mangoes go together and luckily this wonderful fruit is available in South Africa from December to April. 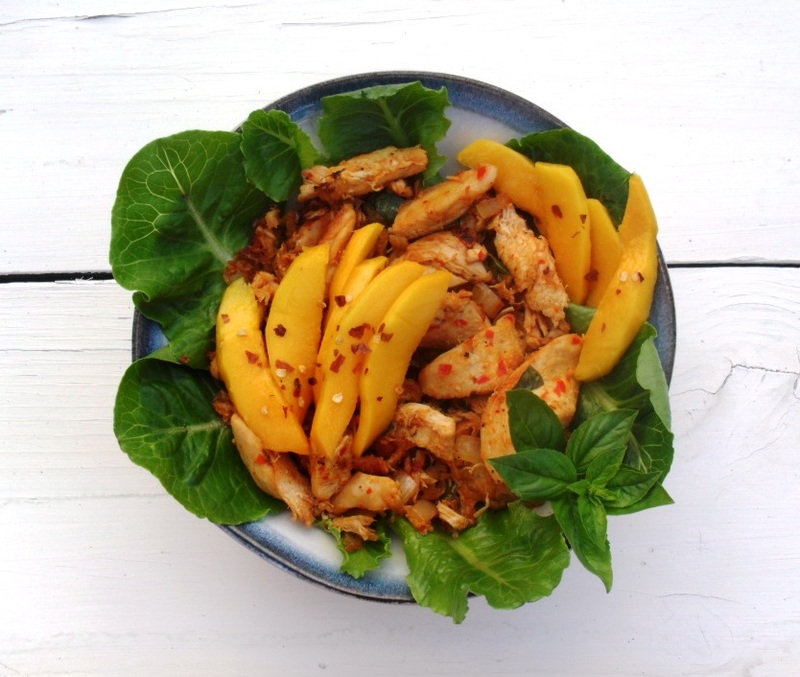 Mangoes are very versatile and can be used in savoury dishes as well as sweet. I made this delicious mango ice-cream recently and not so recently this mango mousse. 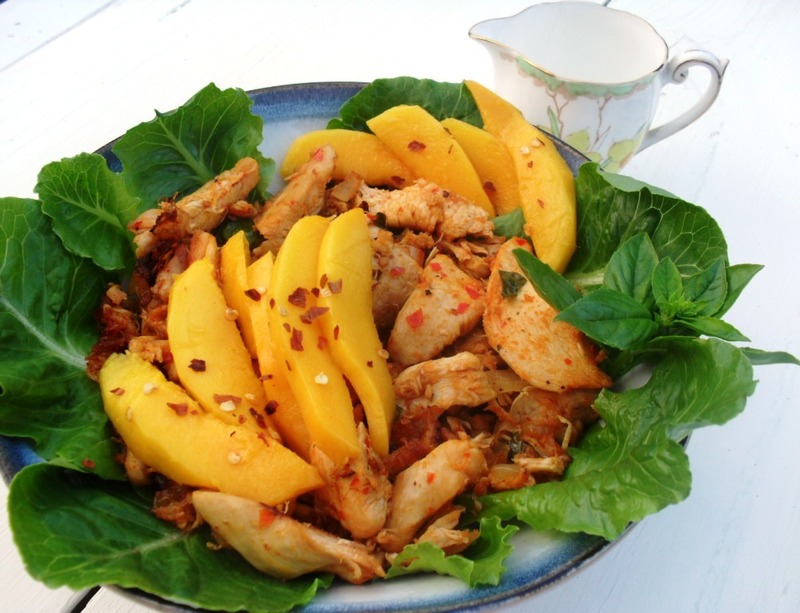 The mangoes in this dish compliment the chilli chicken beautifully. My family loved this salad! I served the salad with a coconut salad dressing on the side. The recipe for the dressing can be found here. I did not add the garlic powder and replaced the chives with basil. 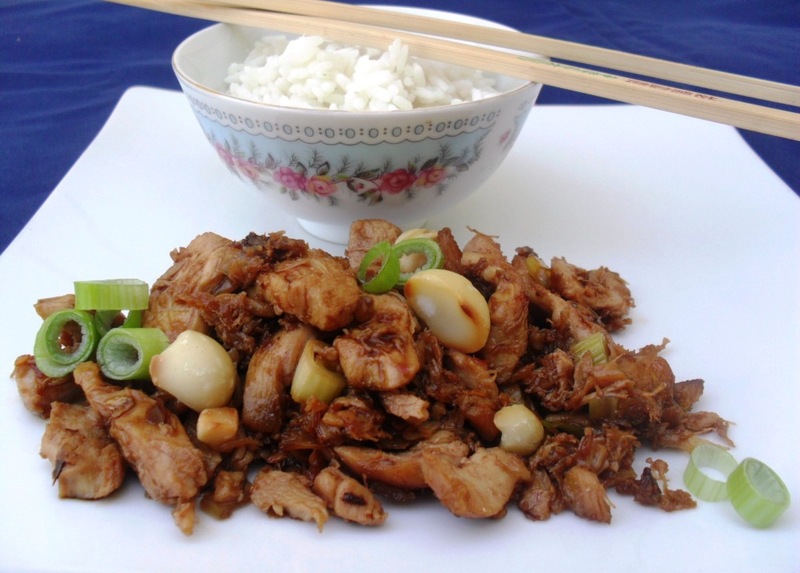 Heat the oil in a large frying pan or wok and fry the chicken until brown. Add the onion, chillies and brown sugar and fry until the onions are soft. Season with salt and pepper and add the chopped basil. Remove from the heat and cool down slightly. Arrange the cos lettuce on four individual serving plates. Top with the fried chicken strips and slices of mango. Serve with the coconut dressing on the side. Looks quite edible, chilies and all!! Yummmmmmmmmmmm …. yum yum yum! I am drooling! Sounds great – do you have a recipe?